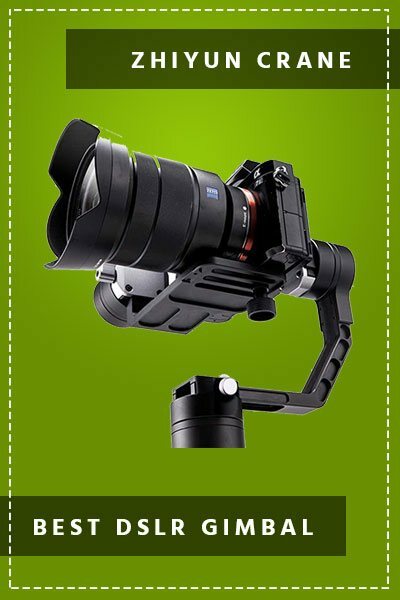 If you are a hobby filmmaker, then apart from a topnotch camera, you know that you will need a great DSLR Gimbal stabilizer in order to create amazing videos at a professional level. Of course, you can use a software to eliminate the unwanted effects, like smudged and shaky images, but why do it afterwards if you can assure the quality of your videos beforehand, and in a much better way. In this post we bring to your attention the Pilotfly H2 3-Axis Gimbal Stabilizer. The Pilotfly H2 is a single-grip 3-Axis gimbal stabilizer that combines the asian quirkiness in technology and the german detailed quality analysis, and all this at a very competitive price. But let’s get to the point and dig into the Pilotfly H2 features and specifications, so you can easily find out for yourself why would you need one of these stabilizers. Those who already have an idea of Pilotfly products will notice that the H2 design is very similar to the previous H1 model one (due to both being single-handed gimbal stabilizers), but at the same time it is upgraded and offers way more customization options. The Pilotfly H2 3-Axis Gimbal Stabilizer features a detachable two hands handle and the material used for it, as well as for the entire construction is CNC aluminum alloy that makes the gimbal stabilizer very lightweight – very important feature when talking about single-grip stabilizers as you need to carry the weight of it and your camera with one hand. What is also great about the Pilotfly H2 design is that it is completely tool-less, so you do not need screwdrivers or anything else in order to put it together and attach the accessories you will use. It is equipped with integrated standard screw holes here you can attach your camera just buy hand screwing. Talking about the cameras, the Pilotfly H2 3 axis gimbal is able to take camera + lens combinations of up to 5 lbs (around 2.2 kg) which makes it completely suitable with mirrorless cameras like Sony a6300 or Sony A7 sll. You can use it with bigger full frame DSLR cameras, most lenses and camera combinations will fit. Design is great, but what will actually give you the smooth and stable images that you are looking for are the featured brushless motors designed with integrated 2 IMU sensors and Triple MCUs as well. The board is 32 bit AlexMOS that just adds to the combination needed for a powerful video shooting experience. Another great feature is the fact that there is no limitation in the rotation of the Yaw axis – that is a full 360 degrees rotation and the Roll axis allows a 180 degrees rotation in order to mount cameras with flip screen. Here is a video shot by vimeo user naototanno, using the H2 and a Sony A7S. This gimbal is very well suited to Sony’s full frame mirrorless cameras. The 4 way joystick also features 5 pre-configured profiles (Follow Mode, Pitch Lock, Full Lock, Follow Roll and Home Move) and an auto-invert mode. The battery is Li-Po an allows up to 26 hours of operation time and of course, there is a LED indicator for power and the level of battery life. Everything about the Pilotfly H2 is great, including the relatively competitive price for what you get. The only downfall we have discovered after running through the numerous customers reviews of this item is the customer support. It seems that if it happens your item to be faulty, the support is slow to reply back and actually deal with your issue. Overall while reviewing this gimbal, we are safe to say that the Pilotfly H2 3-Axis Gimbal Stabilizer would absolutely be able to give you that professional images that you are looking for and a video shooting experience like never before. It is a solid gimbal, made with pro and amateur videographers in mind. The battery life is the best on any DSLR stabilizer out there. We liked the extra two hands handle, which is pretty much mandatory to shoot longer than for a few minutes with a real SLR mounted on it. i’m a student of mechanical Engineering in Germany and will finish my Study this year. I have a project to do for my university where my job is to engineer a gimbal for cameras. It would be a great pleasure to get some informations how your gimbals are construct and what the active principals are.